As an experienced Lewiston DWI Attorney, I am often asked about handheld breathalyzers that police use. When you are pulled over for a DWI, a police officer may ask you to take a portable breath test. We call that the Alco-Sensor. That is a hand-held device that the officer uses to measure your blood alcohol in your system. This is not admissible in New York State court, but it does allow the officer to determine whether you have any alcohol in your system. The alco-sensor is just another tool in the arsenal that they use against you in determining whether or not you are driving while impaired or driving while intoxicated. Have you been arrested for DWI because of an Alco-Sensor test? Contact experienced Lewiston DWI Attorney Arthur Pressman to fight for you. 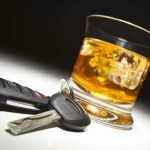 This educational blog post was provided by Arthur Pressman, an experienced Lewiston DWI Attorney.